Prior to the onset of the industrial revolution, wealth and power were measured primarily in terms of the amount of land owned by an individual or family. Although the twentieth century saw the rise of securitization and the resulting increase in stock and bond ownership, real estate investing can still prove a profitable option for those who are actively engaged in an asset allocation program or just looking to diversify their current portfolio. Real estate investment trusts, or REITs, can be a convenient way for the average investor to profit without the hassle of direct property acquisition. That is why we included this comprehensive essay in our Beginner's Guide to Real Estate Investing. Prior to 1960, only wealthy individuals and corporations had the financial resources necessary to invest in significant real estate projects such as shopping malls, corporate parks, and health care facilities. In response, Congress passed the Real Estate Investment Trust Act of 1960. The legislation exempted these special-purpose companies from corporate income tax if certain criterion were met. It was hoped that the financial incentive would cause investors to pool their resources together to form companies with significant real estate assets, providing the same opportunities to the average American as were available to the elite. Three years later, the first REIT was formed. The original legislation had some significant drawbacks, however, in that it required the executives in charge of the business to hire third parties to provide management and property leasing services. These restrictions were lifted in the Tax Reform Act of 1986. Thirteen years later, in 1999, the REIT Modernization Act was passed. The law allows REITs to form taxable subsidiaries in order to provide specialized services to tenants that normally fall outside the purview of real estate investing. Although the law still has some limitations as to the types of services that can be offered, it is expected that the quality of service at REIT-managed properties will improve significantly as a result of its passage. “The REIT must distribute at least 90 percent of its annual taxable income, excluding capital gains, as dividends to its shareholders. The REIT must have at least 75 percent of its assets invested in real estate, mortgage loans, shares in other REITs, cash, or government securities. The REIT must derive at least 75 percent of its gross income from rents, mortgage interest, or gains from the sale of real property. And at least 95 percent must come from these sources, together with dividends, interest, and gains from securities sales. In most cases, the investor that buys a rental property is left to her own devices. REITs allow the investor the opportunity to have her properties managed by a professional real estate team that knows the industry, understands the business and can take advantage of opportunities thanks to its ability to raise funds from the capital markets. The benefits are not limited to the financial prowess of the management team. Owners of REITs aren’t going to receive phone calls at three a.m. to fix an overflowing toilet. REITs can significantly limit personal risk. How? If an investor wanted to acquire real estate, it is likely he will take on debt by borrowing money from friends, family, or a bank. Often, he will be required to personally guarantee the funds. This can leave him exposed to a potentially devastating liability in the event the project is unsuccessful. The alternative is to come up with significant amounts of capital by reallocating his other assets such as stocks, bonds, mutual funds, and life insurance policies. Neither alternative is likely to be ideal. Purchasing a REIT, on the other hand, can be done with only a few hundred dollars as share prices are often as low, if not lower, than equities. 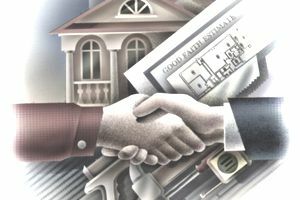 An investor that wants to invest $3,000 in real estate will reap the same rewards on a pro-rated basis as those who want to invest $100,000; in the past, it simply wasn’t possible to get this kind of diversification in the real estate asset class without taking on partners or using leverage. Unlike direct property ownership, a REIT offers liquidity and daily price quotations. Many investors mistake this for increased risk. After the average real estate investor has acquired a house, apartment building or storage unit, he becomes primarily interested in the future rental income prospects, not the potential sale value of the asset if he put it back on the market. Indeed, if the investor holds the property for twenty years, he is likely to have lived through significant boom and busts in the real estate cycle. In other words, despite the fact that the quoted price of the REIT may fluctuate on a daily basis, the economic reality of direct real estate investing is no different. In essence, it is as if the owner of a REIT simply didn’t pick up the paper and examine the price offered to him by Mr. Market. Taking it one step further, this perceived disadvantage is actually one of the perks of owning REITs. Unlike direct real estate holdings, they are a liquid asset that can be sold fairly quickly to raise cash or take advantage of other investment opportunities. A significant portion of the return attributed to investing in REITs is due to the large cash dividends. Because dividend distributions of this kind are taxed at personal income tax rates which have historically been 39.8% (thanks to the Bush tax cuts, this rate has been lowered to 35%), Uncle Sam can take a significant bite out of your profits. One way to counter this is to hold your real estate investments in your IRA or other retirement accounts. Decades of tax-free compounding can result in hundreds of thousands of dollars more in retirement savings. REITs are also especially suited to retirement portfolios because the cash dividend not only provides income upon which to live but establishes a phantom floor to the share price. In a market free fall, for example, the dividend yield will eventually become attractive enough to prevent further sell-offs (assuming the fundamental business isn’t in jeopardy.) This can result in greater stability at times of market crises. This type of REIT specializes in apartment buildings and/or other residential properties leased to individuals. The biggest danger for residential REITs is over construction within a particular geographic area during a declining economic environment. In such cases where supply is increasing as demand is decreasing, the management team is forced to reduce rents to keep occupancy rates stable. According to Reuters, Avalon Bay Communities (AVB), known for its luxury apartment communities, “is a real estate investment trust that focuses on the development, redevelopment, acquisition, ownership and operation of apartment communities in high barrier-to-entry markets of the United States. At February 27, 2004, the Company owned or held a direct or indirect ownership interest in 131 operating apartment communities containing 38,504 apartment homes in 10 states and the District of Columbia, of which two communities containing 1,089 apartment homes were under reconstruction. In addition, at that date, AvalonBay owned or held a direct or indirect ownership interest in 11 communities under construction that are expected to contain an aggregate of 3,493 apartment homes when completed. It also owned a direct or indirect ownership interest in rights to develop an additional 40 communities that, if developed in the manner expected, will contain an estimated 10,070 apartment homes. There are a number of specialties in the field of retail REITs, including malls and shopping centers. The particular benefit for the former is that construction costs are significant; measured in the tens or hundreds of millions of dollars. This high barrier-of-entry cost helps keep expansion under control, making excess supply a lesser concern. An Example of Retail REIT: Regency Realty Corp.
“Regency Centers Corporation is a real estate investment trust that owns and operates grocery-anchored shopping centers in the United States. As of December 31, 2003, the Company's portfolio of real estate investments included 265 shopping centers in 22 states with 30.3 million square feet of gross leasable area (GLA) and was 92.2% leased. Geographically, 19.6% of its GLA is located in Florida, 19.5% in California, 16.8% in Texas, 6.6% in Georgia, 6.3% in Ohio and 31.2% spread throughout 17 other states. The office sector of the real estate investment trust market has historically been the largest. The primary drawback is the fact that office rents normally have much longer lease terms meaning that in times of declining rent and lower occupancy, those tenants that do sign leases will have lower, less-profitable rates locked in for many years. This can also be a blessing, however, if a property is filled during a time of short supply and high demand. Office REITs are, as can be imagined, highly cyclical. Industrial REITs, on the other hand, tend to generate steady, predictable cash flow thanks to high lease renewal rates and low capital expenditure and maintenance requirements. “CenterPoint Properties Trust is a real estate investment trust that owns and operates primarily warehouse and other industrial properties in the metropolitan Chicago, Illinois area. CenterPoint seeks to create share value through customer-driven management, investment, development, and redevelopment of warehouse, distribution, light manufacturing, airfreight and rail-related facilities. The Company also develops multi-facility industrial parks that are strategically located near highways, airports, and railroads. Health care REITs build, acquire and lease specialty buildings such a hospitals, nursing homes, medical buildings and assisted-living facilities. This REIT sector is fairly immune to the recession, although they are largely dependent upon the financial health of the lessee which, in turn, rely on the medical reimbursements provided by the U.S. Government. Federal changing in health policy would obviously have a significant effect on health care REITs. An Example of Health Care REIT: Health Care REIT, Inc.
“Health Care REIT, Inc. is an equity real estate investment trust (RIET) that invests in healthcare facilities, primarily skilled nursing and assisted living facilities in the United States. The Company also invests in specialty care facilities. During the year ended December 31, 2003, the Company had investments in 328 facilities located in 33 states and managed by 47 different operators. The portfolio included 219 assisted living facilities, 101 skilled nursing facilities, and eight specialty care facilities. The self-storage REIT sector is somewhat recession resistant. More surprisingly is the fact that corporate customers make up a significant portion of storage rentals. Barriers to entry are significantly lower than other types of REITs due to the smaller amount of capital necessary to construct a storage facility. An Example of Self Storage REIT: Sovran Self Storage, Inc.
“Sovran Self Storage, Inc. is a self-administered and self-managed real estate investment trust that acquires, owns and manages self-storage properties. As of March 1, 2004, it had 265 owned and/or managed self-storage properties consisting of approximately 15.5 million net rentable square feet, situated in 21 states in the eastern and midwestern United States, Arizona, and Texas. Sovran Self Storage manages 11 of these properties for Locke Sovran I, LLC, an unconsolidated joint venture that is 45% owned by the Company. In the world of real estate investing, the hotel and resort sector is the one most closely tied to the overall economy. When times are bad, people travel less for business and pleasure, cutting right to the heart of these company’s bottom lines. As a result, investors in hotel REITs have to concern themselves not only with overbuilding but the economic outlook of both the geographic area in which the hotel or resort is located, as well as that of the entire country as well. “LaSalle Hotel Properties is a self-managed and self-administered real estate investment trust that buys, owns and leases primarily upscale and luxury full-service hotels located in convention, resort, and major urban business markets. As of December 31, 2003, the Company owned interests in 17 hotels with approximately 5,600 rooms/suites located in 10 states and the District of Columbia. Independent hotel operators manage the hotels. Substantially all of the Company's assets are held by, and all of its operations are conducted through, LaSalle Hotel Operating Partnership, L.P. If the purpose of a REIT is to acquire and profit from real estate investments, why would some management teams elect to sell properties? Like most good businesses, it is advisable for REITs to periodically review its property portfolio and decide which assets are likely to generate less-than-average cash flows in future years. The proceeds from the sale of these properties can be reinvested in opportunities with higher prospects or used to strengthen the balance sheet (viz. debt reduction) or increase shareholder wealth through a share repurchase program. Investors must realize the primary goal of any successful corporation should be to increase shareholder wealth, not just mindlessly keep on doing business. Real estate investing offers an attractive alternative to common stock, bond, and mutual fund investing. Those investors with an eye on diversification, however, must remember that it is not simply enough to buy a few REITs and call your portfolio diversified. Instead, the investor must make certain that the REITs he acquires represents a geographically and sector diverse group of properties. For the defensive investor, it is far safer to own several apartment, office, industrial, storage, and health REITs from New York to California under different management teams than it would be to buy only a Pennsylvania-based self-storage company. A mortgage REIT is a company that specializes in underwriting, acquiring and holding debt obligations guaranteed by real estate properties. Mortgage REITs are essentially loan portfolios as opposed to ownership of the asset, as is the case with their equity counterparts. A REIT is referred to as a hybrid when it has both equity and mortgage components. Although not as heavily favored by investment advisors as pure equity REITs, they are still attractive investment alternatives. Double taxation avoided, allowing more of the investor's capital to compound. Professional, dedicated management team responsible for the day-to-day operation of the business, providing the investor with expertise beyond his or her own knowledge base. Unlike real estate directly held by the investor, REITs are a liquid asset that can be sold fairly quickly to raise cash or take advantage of other investment opportunities. Using REITs, investors with only a few thousand dollars available can diversify their holdings between various geographic areas and property specializations. In the case of direct property ownership, this would not be feasible financially unless the investor took on excessive leverage or business partners. REITs can tap the debt and equity markets and raise funds to take advantage of opportunities when they arise. REITs have a lower correlation to equities than many other asset classes, providing portfolio stability for those with an active asset allocation strategy. High cash dividends relative to the market tend to establish phantom bottoms to REIT share prices, often keeping them from falling as far as common stock in bear markets. The investor must always remember that REITs do not just represent a pile of real estate assets. They are in and of themselves a going-concern business and must be evaluated and analyzed as such. Should You Be Investing in Real Estate?